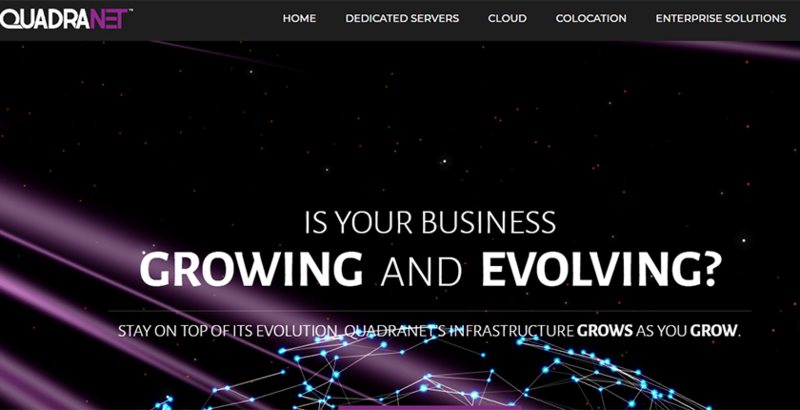 Quadranet Review 2019: Is Quadranet a Good Hosting? If you find you need something that the standard configurations and upgrades don't offer, you can contact support for a customized quote for your server. As long as you're willing to pay for it, they can provide whatever server you need. QuadraNet began as a telecommunications provider in the Los Angeles area in 2001, and over the years, the business has evolved to become a provider of internet-based products and services. They offer a wide variety of services that include customizable dedicated servers that have all the features you need to grow your business from the ground up. All of these features include the ability to customize your server and choose from one of six U.S.-based datacenters. Dedicated servers are not for those just looking to start out as you need to take care of everything from the ground up. However, QuadraNet does offer automated OS installs, which makes things a bit easier for webmasters. If you need cPanel or WHM, QuadraNet can install it for you, but you will have to pay $25 per month in addition to your standard server charge. Those who know what they’re doing will have no problems using QuadraNet. Lesser experienced webmasters should look into a managed VPS solution or even consider going with a quality shared hosting provider. QuadraNet offers two primary types of server configuration. You can choose from single or dual processor servers. Also, if you need a separate SAN and Storage server, they can provide that as well. Single and Dual Processor servers come with four base configurations. Each single processor server feature Intel XEON quad-core 3.30GHz processors with 8GB DDR4 EEC RAM and 50GB SATA storage. Dual Processor servers feature Dual Xeon six-core processors with at least 2.10GHz speeds, between 16GB and 32GB DDR4 ECC RAM, and 500GB SATA drives. There are also a host of additional upgrades you can choose that include port upgrades, bandwidth upgrades, software and OS upgrades, and more. QuadraNet builds robust dedicated servers that provide excellent features and near-perfect network uptime. Their base servers are very affordable, and if you’re willing to pay for the upgrades, they are more than capable of building the perfect custom server for you. QuadraNet is a premium provider of dedicated servers hosting servers in multiple U.S.-based datacenters with a 99.9999% uptime guarantee. While their base services are affordable compared to other providers, you will have to pay for some features such as cPanel access. However, they are willing to configure any server you need providing you’re willing to pay up. Wondering how Quadranet stacks up against other Web Hosting companies? Enter any other Web Hosting company and we will give you a side-by-side comparison.